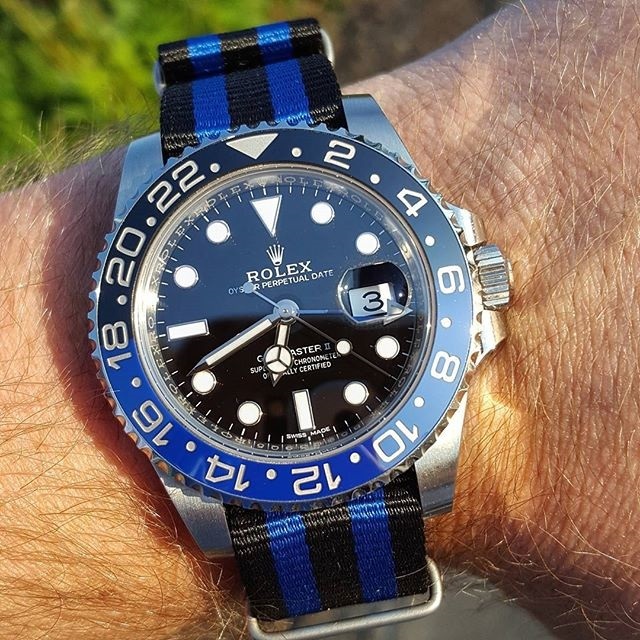 @gmtmania and his Rolex GMT Master II on our ZULUDIVER 178 Blue Bond. This is a great shot that really shows off the stunning quality and finish of a Rolex timepeice. If you were ever afraid of colour co-ordinating, just simply look at this image to see that it can be done. The framing of this shot is ideal, the lighting is perfect and the watch looks great. Nice work @gmtmania! Like the look of the ZULUDIVER 178 Blue Bond? Now available here in 18, 20 & 22mm with Black or Satin hardware finishes. 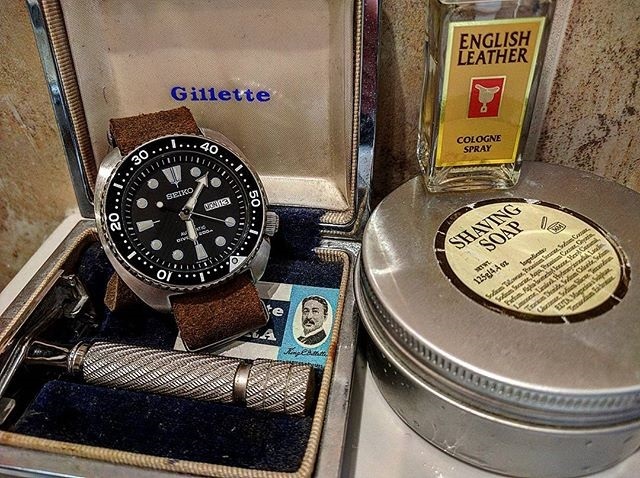 @712shaves with the Seiko SKX007 on our 335 Leather NATO strap. The old school shaving kit and the Seiko on our 335 NATO make for the perfect gentleman's scene. The 335 NATO is a great strap for everyday wear and the leather used ensures it gets better with age. Like the look of the ZULUDIVER 335 Leather NATO? Now available here in 20 & 22mm in five different coloured leather finishes. 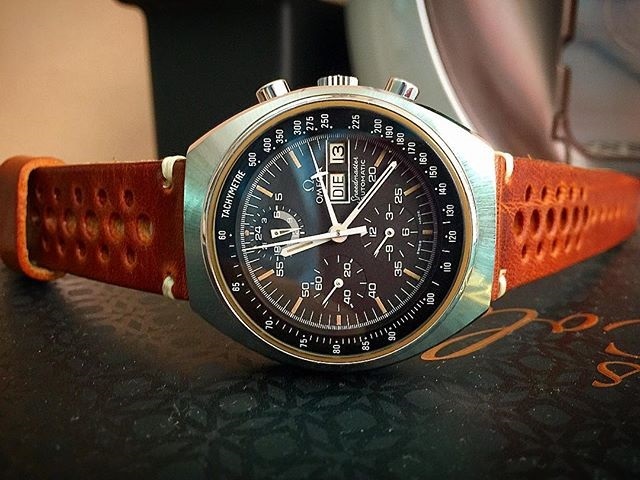 @rod85 pairing this classic Omega Speedmaster with our new Vintage Racing Leather strap. Is there anything better than a Vintage Omega Speedmaster? The Vintage Rally has been a instant hit for us and we are struggling to find a watch this strap doesn't suit! Great image & combo @rod85! 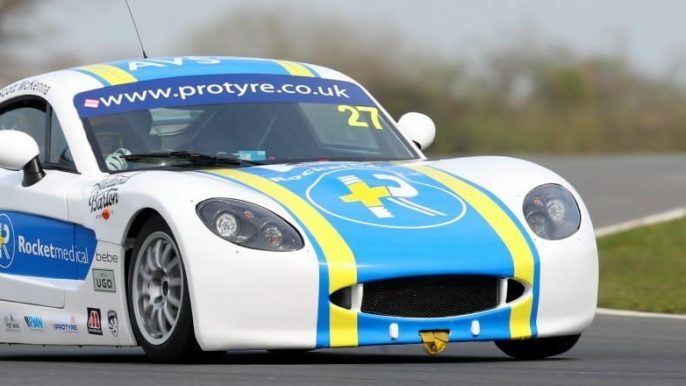 Like the look of the Geckota Vintage Racing? Now available here in 20 & 22mm in five different coloured leathers and a choice of buckle finishes. 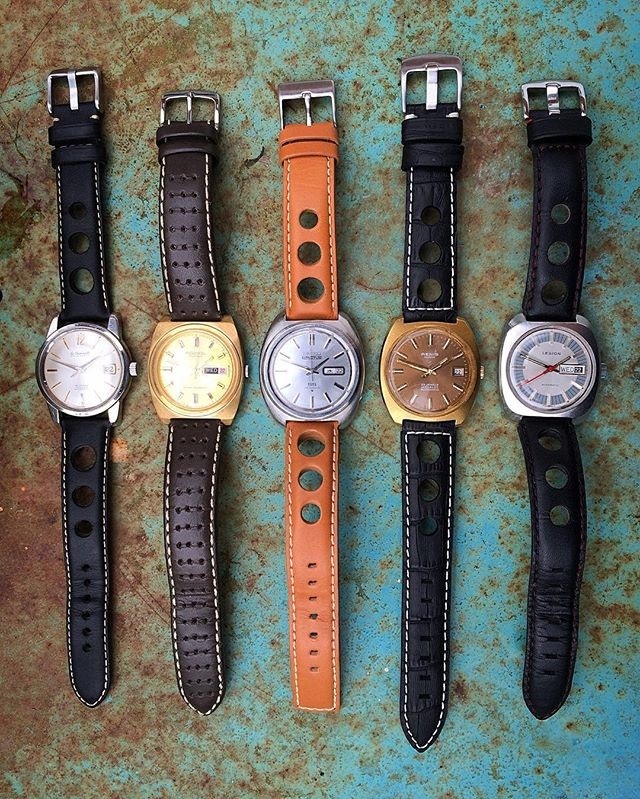 @matt_hickman77 with his great vintage timepeices on our range of rally straps. Here is five classic watches matched with a selection of our rally straps that compliment the styling perfectly. What more can we say? Great striking image from @matt_hickman77! Like the look of our rally straps? @fujoor with his Seiko diver on our ZULUDIVER 284 Rubber Strap in a natural habitat. 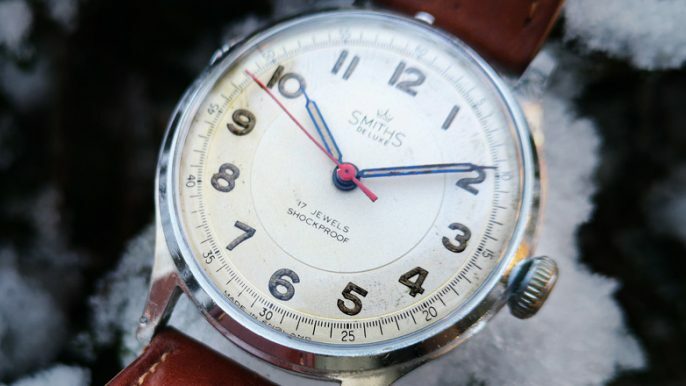 There is nothing like a nice close up image showing the quality detail in a timepiece. 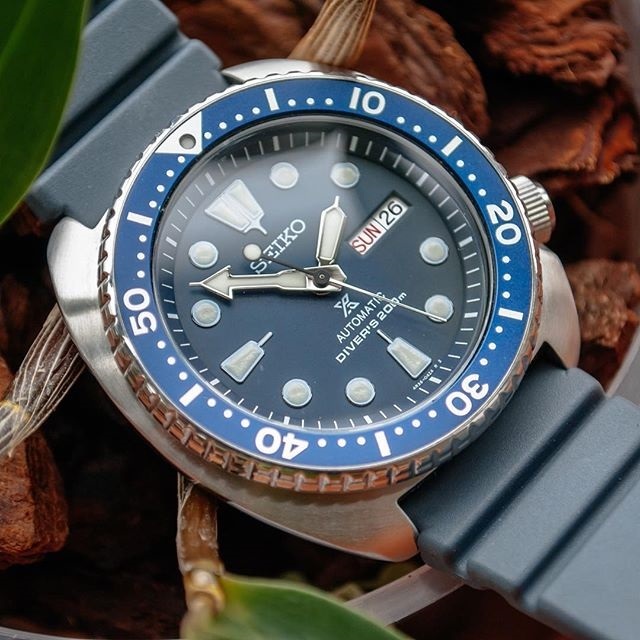 @fujoor Seiko matched with the 284 Rubber Strap and natural background make for a beautifully balanced image. Like the look of the ZULUDIVER 284 Rubber Strap? Now available here in 22mm and six different colour choices. 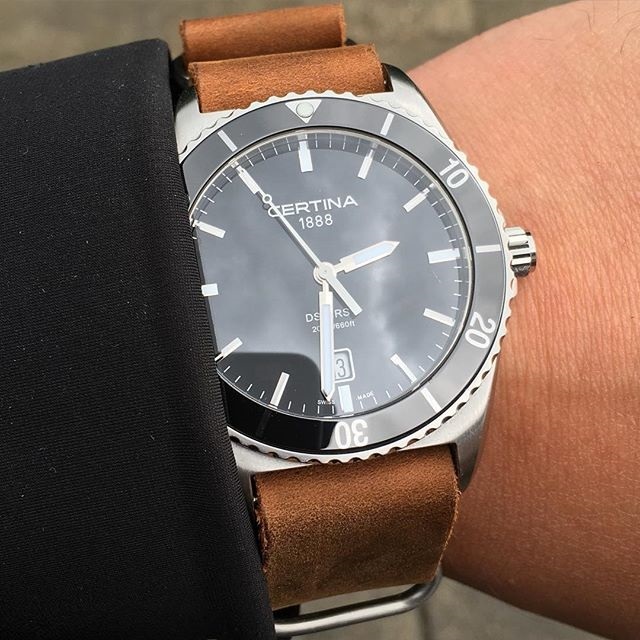 @danish_watch_geek with the stunning Certina on leather ZULU strap. Black face, brown strap. Is there a better classic combo? This Certina watch is a great timepeice and is complimented perfect by our Leather ZULU strap. clean, simple and effective. 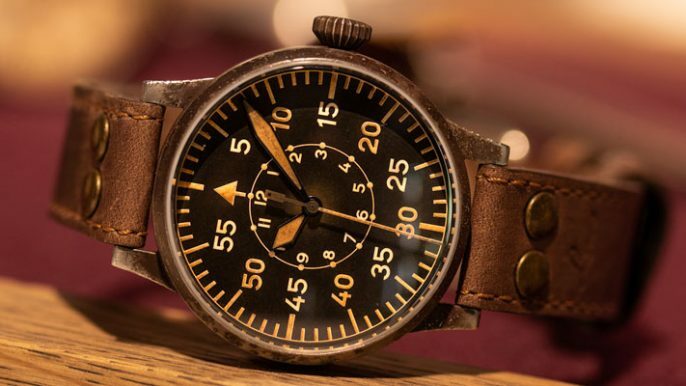 lovely shot @danish_watch_geek! Like the look of our leather ZULU's? 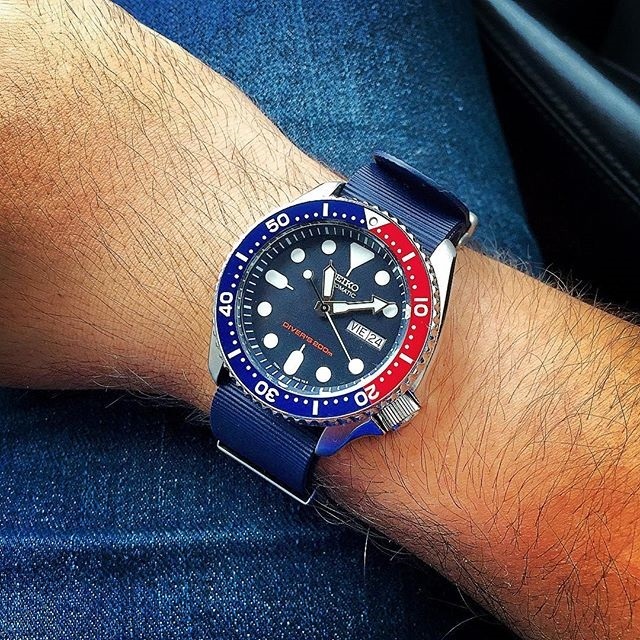 @rod85 with the Seiko SKX009 Pepsi on the 328 Blue rubber NATO. You don't get more iconic when you talk about Seiko Dive watch than the SKX range. The SKX009 Pepsi is a great watch for the summer, made even better when put on our 328 Rubber NATO. Another great shot from @rod85! Like the look of our 328 NATO's? Now available here in 20 & 22mm in TEN different colours! @gregsinclair with his Seiko Sea Urchin on our Milanese Mesh. What a classy image to end the first WatchGecko Showcase! 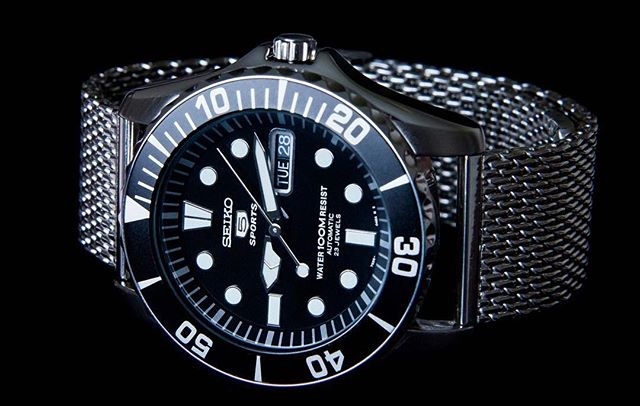 This Sea Urchin Seiko suits our Thicker Milanese Mesh perfectly. Like the look of our Thicker Milanese Mesh? Now available here in four different finishes and in 20, 22 & 24mm.